A few years back now I made a post talking about my experiences doing my A levels and taking about whether to stay at your school or go to a sixth form college which I loved so I thought it was about the time I shared my thoughts on the process of choosing the right university for you although I think its too late in the year now as most people would have chosen their first and insurance choice through UCAS by now (that's how it works in the UK anyway). The way I went about this process probably wasn't the best way, I had no idea what I wanted to study, where I wanted to go or anything. However I knew I wanted to go to university, perhaps for the wrong reasons (social life, because my parents went [they met each other at uni so when I was very young I had the idea of you go to uni, meet the person you end up with and it all just works out] and to get away from home). My parents however were kind of against me going they knew financially we couldn't afford it, the debt I'd have after wouldn't be worth it and the idea that especially in fashion I could get further with industry experience instead I totally ignored these points, the idea of the student loan is glamorised before uni and you really understand the catches. Anyway so you know you want to go? - Which area is more employable? - Which are you currently more qualified in? - What are you most passionate about? - Think how you will be studying this for at least three years including a dissertation so think through what you want to learn more about but also university course are just about learning its about your own research and own work so what courses will you enjoy enough to want to do well in. Once you have brainstormed and started asking yourself these questions about what you want to study. I'd really recommend attending a UCAS fair if there is one near you. Its an amazing chance to grab as many prospectuses for all the uni's you can. I definitely went over board and it helped. It opened my eyes to just how many different unis are in the country and you can ask questions. (I went to mine before doing any of my own research so asked a lot of obvious questions. Then I had a few cities I knew I wanted to look at mainly Bristol and Bath (was born there but only lived there for like a month, been desperate to move back ever since) but none of the courses were right. No matter how many lists I made I couldn't choose my course, therefore career path randomly. Next you need to attend as many open days as you can I went to at least 6 but go to more if you can. Even if you know you'd rather move away also look at the uni's in your home city. Most of them work in a similar away allowing you to attend sort talks from a few different courses (which was perfect for me), explore campus, have an accommodation tour and talk to as many people as possible to get a feel for the place from lecturers and current students. I also tried to get a chance to go into the town or city because that was a big factor for me when committing to live somewhere new for three years. The process of open days was what helped me decide on the course area I wanted to stick with (after many teaching course talks we knew it wasn't for me, it is different to when my mum did hers and she said it sounds ridiculous plus you can do any course then do the years PGC after to pursue teaching). The final thing the made me decide to go with fashion was the career possibilities (yes post-grad employability is looking impossible, probably a future post on this) I had no idea where my future would go after studying sociology. Another tip I'd recommend is as annoying it may be every family member constantly asking you questions about 'Where have you applied? ', 'What are you going to study?' etc make the most of this, ask them questions about their uni experiences but also your friends those who are applying to uni at the same time were amazing help for me. One of my best friends Jess was also undecided about where to apply so we all went round with a handful of laptops and traded ideas. Jess threw me the Falmouth prospectus and thank god she did, I'd honestly never even heard of the place (soz fal), I'd never even been to Cornwall and now I've lived here for nearly two years. So all I can say is keep talking about. - The town think about whats important to you for example clubs, all the high street shops, a beach etc and work out which town has what you need. 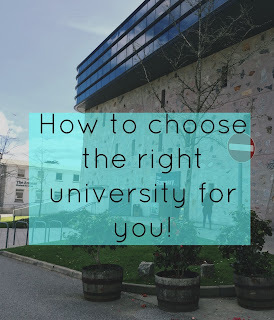 - The universities qualities, this is not related to the course but the uni in general from campus tours (for example the library and SU), how the uni is perceived (look at the league tables). For me this was a big factor I had been accepted into Manchester which is a top Russell group university so I thought it would be mad to turn that offer down but Falmouth is the number one Arts university so again thinking about what works best for you. - The final question you need to be honest with yourself in regards to the entry grades for each uni. I knew what was realistic for me to achieve on my A level results day. So compare what they are all looking for and work out which you can most likely get in to. However this list of pros and cons is all the practical things and part of this is just going with your heart, knowing where you will be happy for three years. Finally the one website I'd recommend using throughout the whole process is WHICH university. To initially find course you may be interested in, to compare them and to access league tables. 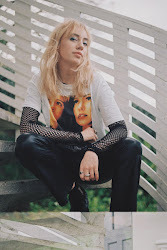 I hope you find this post useful and best of luck with applying to uni (I didn't touch on the best way to apply to university because I'd only be able to talk about applying to fashion courses I guess). I didn't know what images to include so I just took some pretty pictures of the buildings around my university campus in the sun.